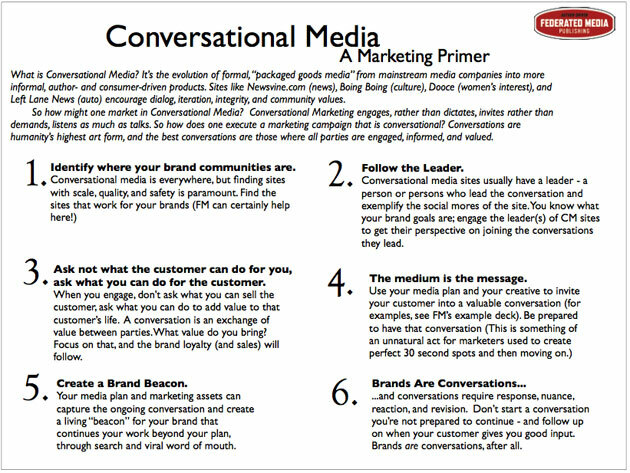 Federated Media (our advertising partner) has been experimenting with “conversational marketing” almost since their launch in 2005. 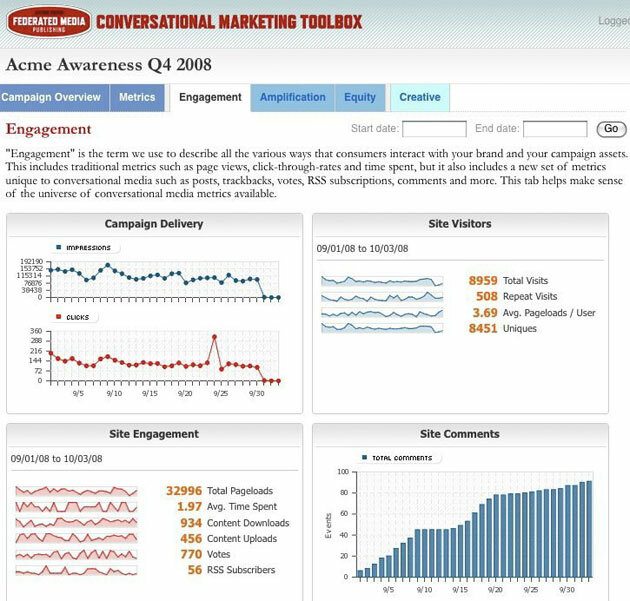 Today they are launching a new marketing toolbox for advertisers which gives them tools to track all the ways users interact with these ads. The goal, says Federated Media, isn’t just to track ad impressions and clicks, but also to look at a new set of metrics like posts, trackbacks, votes, RSS subscriptions, comments, etc, where users somehow interact with the advertisement and talk about it. Hopefully, a conversation occurs between users, the ad publisher and the advertiser, which gives the advertiser’s brand more face time. An old example of this is Hakia’s ad that asks bloggers what better search means. Other examples are here. Early efforts didn’t pan out so well as authors were accused of conflicts of interest – users didn’t know where editorial stopped and advertorial began. It’s not clear those issues have been resolved, but Federated Media says a proper disclosure policy is the right place to start. Convinced? It’s certainly controversial, but brands love it because they get a higher return on their advertising investment. That means it’s here to stay.